WARNING: Bitching and moaning ahead! When I got my first Apple computer one of the programs I was most excited to use was iTunes. I’d had my heart set on an iPod since the device first debuted and as a huge music fan with a growing collection of mp3 files, I was anxious to use Apple’s media player to organize and explore my music. It was 2003 – OS X “Jaguar”‚ iTunes 4.0 and the 3rd iteration of the iPod (15GB – somewhat surprisingly, over a decade later my iPhone 5s is only 1GB larger). Back then‚ the iTunes icon was a CD underneath a pair of green‚ 3D beamed 8th notes. Logical‚ right? Music was on CDs and music is written with notes. The icon looked like any other Apple icon from the early 2000s. The real-life products were all translucent plastics and rounded edges and OS X’s icons mirrored this aesthetic. 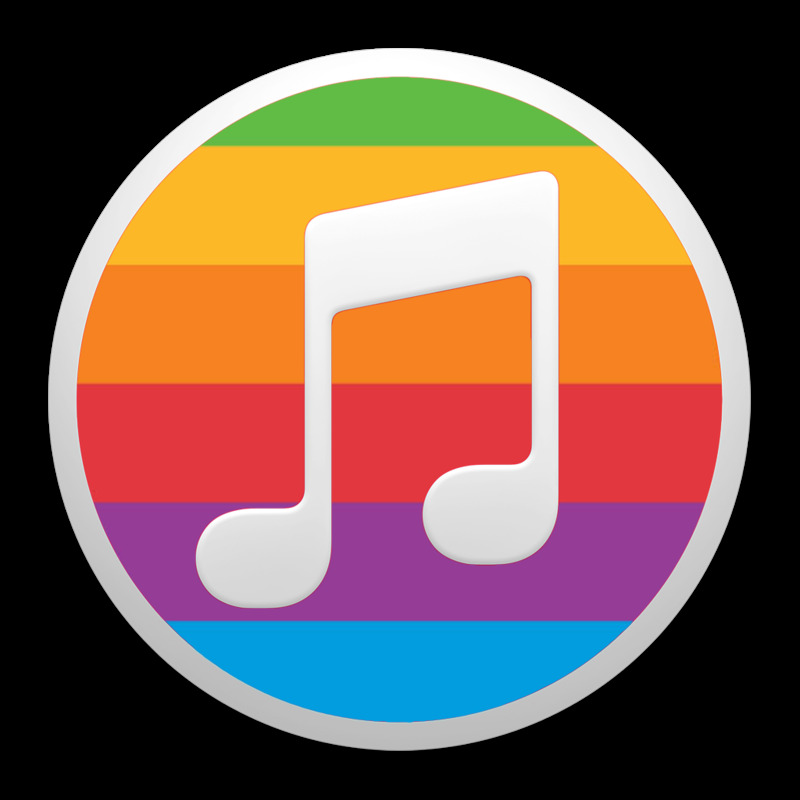 iTunes 7.0‚ released in 2006, was a visual overhaul in many ways (including the totally useless Cover Flow) and the icon changed for the first time in 3 years. The quarter notes turned blue and their beam fattened up but the shape and layout of the icon remained the same. When it was finally time to ditch the fake CD in 2010‚ the icon stayed round and blue. For 8 years‚ iTunes has been two things‚ visually speaking: Round and blue. It’s been a week since the release of OS X 11 and iTunes 12 and I’ve mostly adapted to every change except for one: iTunes now has a red icon. No change to an Apple product has broken my brain the way this one has. Now‚ I’ve used Apple products long enough to know that the faster you can adjust to a change the better. And generally the transition period is short. “Natural scrolling” that everyone hated? 2 hours‚ tops. Terminal commands that change every version? Annoying but just Google it. This red iTunes icon though? It’s seriously tripping me up. I’m almost certain that the blame for this jarring chromatic shift can be placed equally on the App Store and Safari. Both have an ironed-out white on blue look that’s incredibly similar to a blue version of the iTunes 12 logo. PS: At least they killed off Cover Flow!